Southern California casino expands telephone mystery shopping services to their PBX department in order to further enhance the customer experience for their front lines. 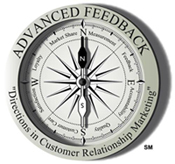 SAN DIEGO, CA, May 17, 2013 – Advanced Feedback, Inc. a San Diego based mystery shopping company that provides video, onsite and telephone skills evaluations nationally and in neighboring Canada and Mexico. Welcomed the addition of another Morongo Casino Resort & Spa department this year. The mystery shopping firm has been working with the Cabazon, CA casino since 2012. The casinos Reservation and PBX departments rely on telephone mystery shops to monitor each operator’s customer service telephone skills. Mystery shoppers pose as potential customers and call inquiring about such things as rates, availability, special events, gaming, amenities, services, specials and much more. Telephone attendants are scored based on a number of criteria, such as rapport building, determining needs, building value, appointment / reservation offers, overcoming resistance, friendliness, helpfulness and professionalism. Advanced Feedback provides next business day and even same day reporting to Morongo Casino Resort & Spa. These results include the agent’s individual phone shop report and recorded call; all accessible via online streaming and smart phone apps. This immediate feedback allows for encouragement, corrective training and counsel to take place if needed.